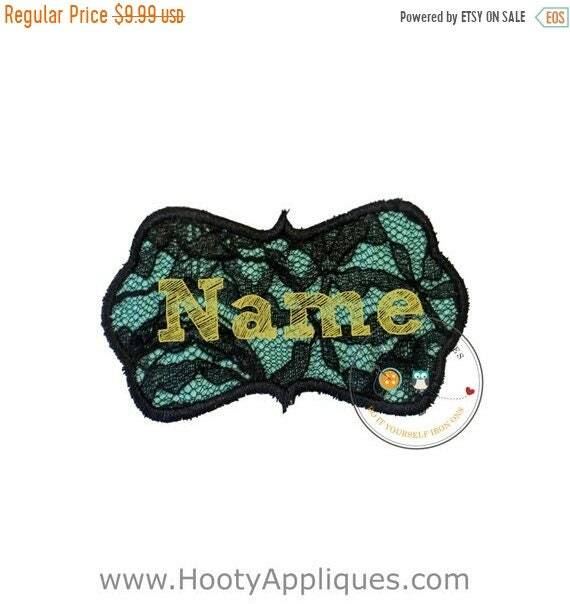 Black lace and teal iron on name badge. Cute to add to a backpack, jacket, or gym bag. 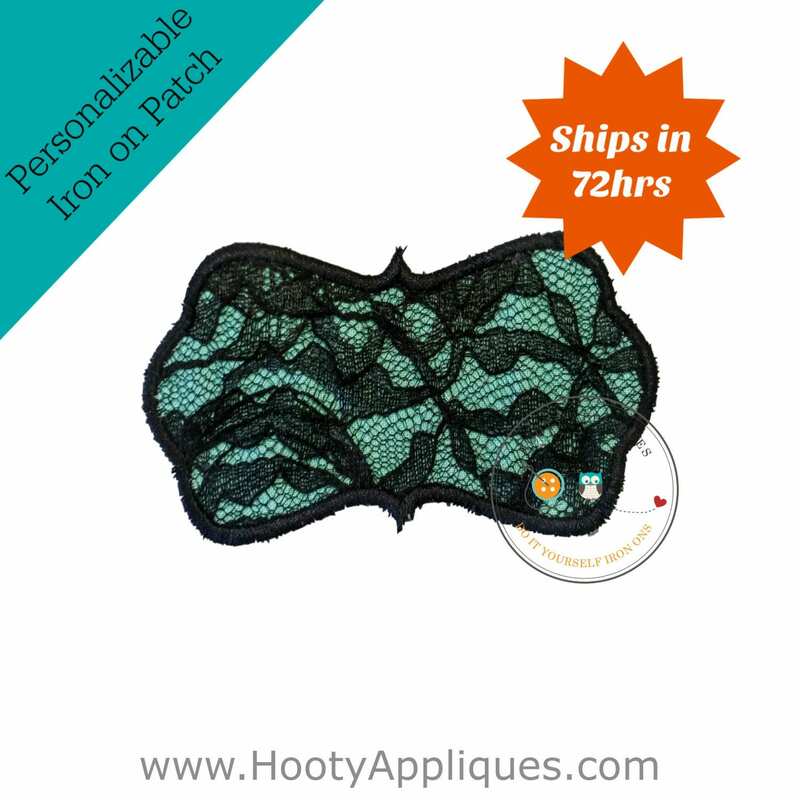 This lacy monogram iron on applique is the perfect touch of class for any girl. *Patch measures 4.0 inches wide by 2.5 inches tall.